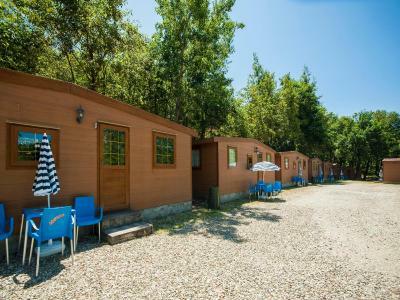 Lock in a great price for Camping Village Mugello Verde – rated 8.4 by recent guests! 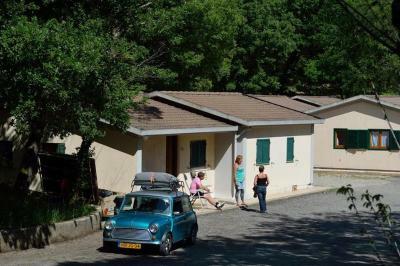 We stayed here for one night on our way to the south of Italy. The room was clean. There is a very small kitchen that we used to cook our own meal. We could park our car next to the holiday home. The reception lady was very kind, and provided us with good information. It was nice and was pretty spacious to have 2 bed rooms and 1 bathroom. The beds weren’t as comfortable but overall the stay in the mobile home was great. We thought it was perfect for our family and my 5 year old loved it! The shower was pretty big and I really liked the fact that they had a fridge. The staff at the site were extremely friendly. Our mobile home was clean and tidy, in a great location. 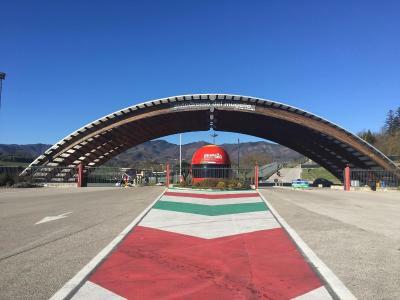 The campsite is in a perfect position for those attending events are Mugello Circuit. 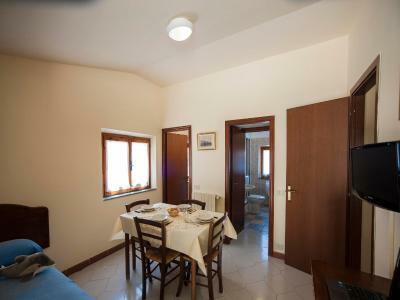 Last minute booking after MotoGP at Mugello, great location and very comfortable stay. Great food! Extremely helpful staff. Convenient location. Pleasant environment. Clean rooms and a spacious bathroom in the mobile home. Good heating. The staff was very friendly. Our mobile home was nice and warm when we arrived and we were able to park right next to it. The restaurant was fairly priced and the food very good. Great stay, simple, quite, has the essentials, Staff are great, specially when you call them late to tell them you are still at the track and we still need to check in.. They have someone on the desk all night.. Fantastic! For the price we paid, it was fine. But really we were staying in half a portacabin! The shower was really good and it was clean. If we were staying longer I'd have booked one of the nicer rooms/cabins. We slept in a tiny, cute "mobile house", the landscapes around the camping park is great. Although there is a "closing time" of the entrance gate you can open it 24 hours. 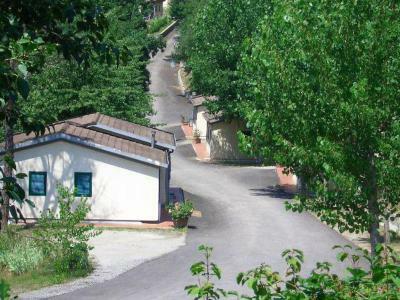 One of our top picks in San Piero a Sieve.Set in the Tuscan countryside 1.9 mi from Lake Bilancino, Mugello Verde features mobile homes and apartments with a shared garden and playground. It offers free access to the outdoor pool, tennis court and ping pong table. Florence is a 30-minute drive away. Characteristic regional dishes and pizzas can be tasted at the on-site restaurant, open for lunch and dinner. 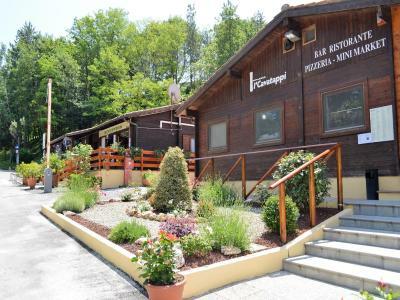 If you want to enjoy a drink or snack, this holiday park also has a bar available all day. Apartments come with a kitchen, a living area and a private bathroom. The mobile homes have air conditioning and some are complete with a kitchenette. 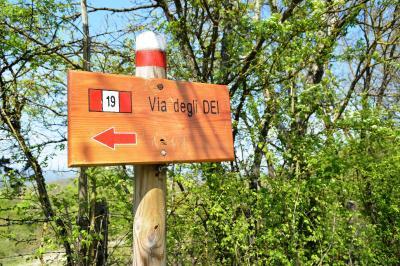 The center of San Piero a Sieve is 1.2 mi from Camping Village Mugello Verde. 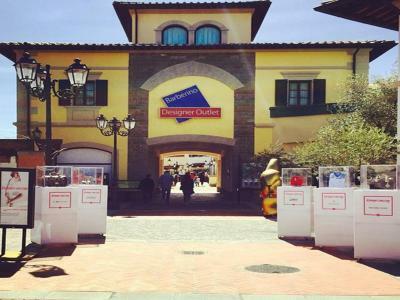 Barberino Designer Outlet and Mugello race track are a short drive away. 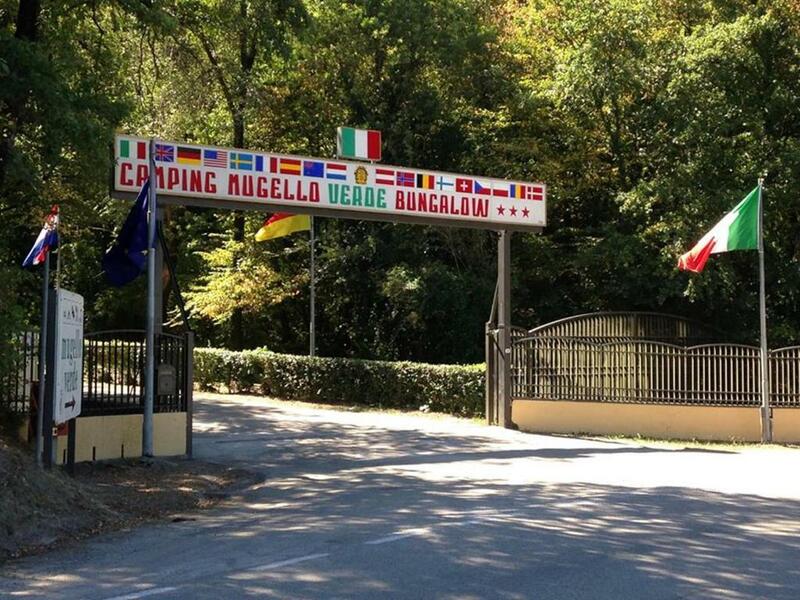 When would you like to stay at Camping Village Mugello Verde? This studio features a kitchenette, a dining area with flat-screen TV and a private bathroom. This unit can accommodate 1 extra cot. This air-conditioned mobile home features a fridge and a private bathroom. 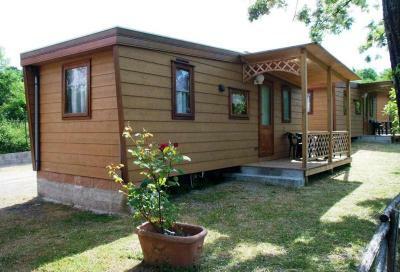 This air-conditioned mobile home features a kitchenette, a dining area and private bathroom. This apartment features a kitchen, a dining area with flat-screen TV and a private bathroom. This mobile home has a dining area, seating area and microwave. This mobile home features a seating area, dining area and patio. This mobile home has a private entrance, kitchenware and stovetop. 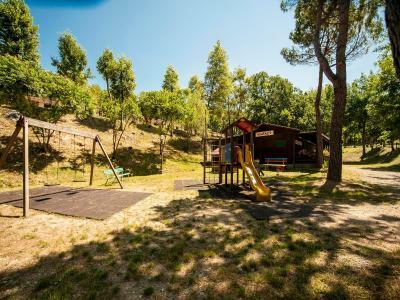 House Rules Camping Village Mugello Verde takes special requests – add in the next step! 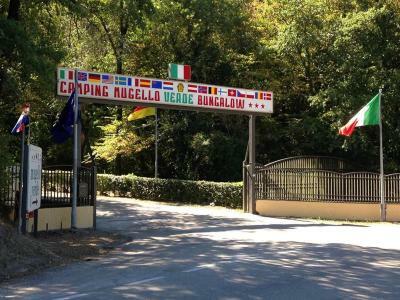 ATM card Camping Village Mugello Verde accepts these cards and reserves the right to temporarily hold an amount prior to arrival. 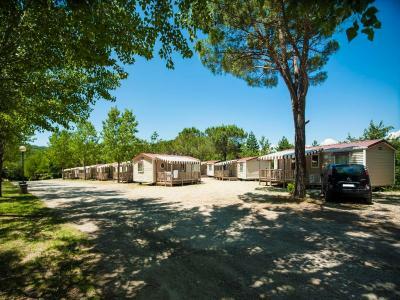 Camping Village Mugello Verde accepts these cards and reserves the right to temporarily hold an amount prior to arrival. Please note that the pool is open from June until mid September. The television had a lot of channels that did not work. There is no WiFi coverage in the holiday homes, only in the reception area and in the restaurant. Good connection to Firenze. Clean swimming pool. Bungalows are excellent option for families. Not many attractions around camping site. The towels could have been better (but probably not at this price). Entertainment was limited for the children to a pool table and table tennis in the evening if you weren't eating in the restaurant. Also where you are in the woods there are lots of flies we got bitten a lot! Beds were a little uncomfortable and there was a gap in the door allowing bugs to come in the room. We could hear everything that was going on next door. 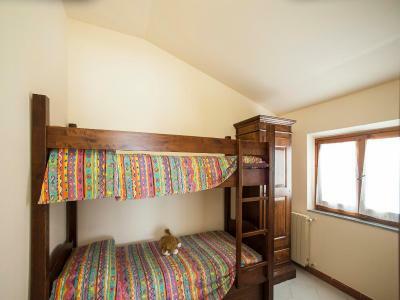 The childs rooms were a bit too small but it wasn't much of a problem. The staff were exceptionally friendly & helpful. They spoke good English although I tried to speak Italian as much as I could.